The price is 87500 Euro. Engine details/gearing and fuel type: diesel, 440 hp, gearbox: automatic. The details on axles, suspension and euro norm include: suspension: spring, 8x8, wheel base: 3100 mm, central lubrication, ABS, front tires: 10%, rear tires: 13 R 22.5 X 12, 10%, trailer coupling. Driving cab specifics: cab type: day cab, electric mirrors, central lock, air conditioner, cruise control, power steering, driver pneumatic seat, airbags, bluetooth. 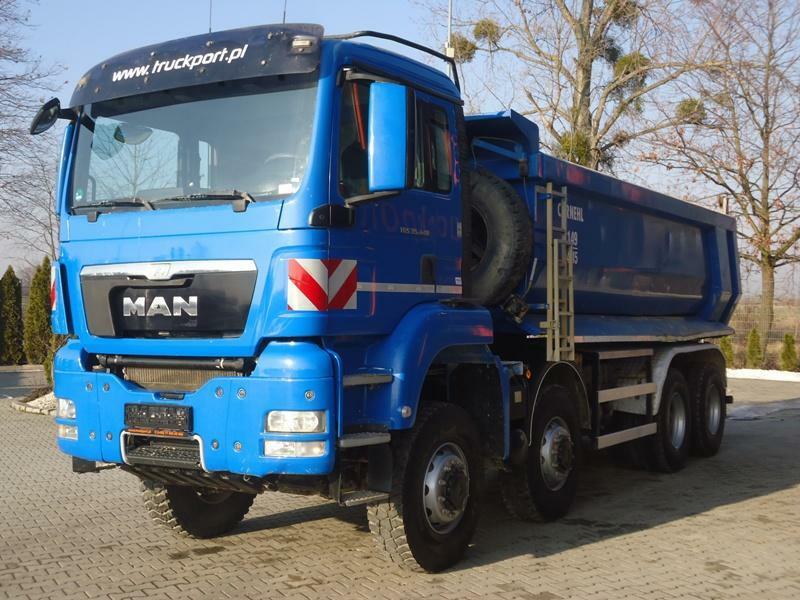 Body dimensions and options: body material: steel, loading volume: 17.00 m³. The payload is 16410 kg. Exterior measurements: length – 9200, width – 2550, height – 3550. The mileage is 97571 km.